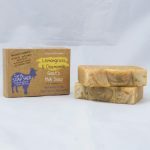 These Goats milk soaps are made from fresh, raw goats milk with olive oil and other natural ingredients. 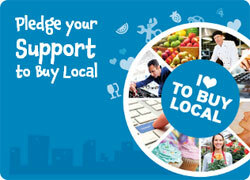 All of these soaps are Palm Oil free! 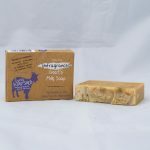 Our Handmade Goat’s Milk Soap bar’s from Cyrils Soap Shed are sold in boxes, which keeps the soaps fresh, clean and protected. 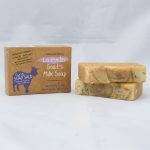 All of our goats milk soaps are mild, gentle and caring, suitable for all skin types including those prone to eczema, psoriasis and dry skin.